As empty nesters, Elizabeth Barrow Brueggeman and her partner, Mark, purchased Hawkeye Hunting Club in Center, Texas last spring. Hawkeye offers upland bird hunts with luxury private lodges and staff. Brueggeman is reaching far into her Kellogg bag of tricks to deal with antiquated communications, deteriorating buildings, non-existent personnel policies and procedures and a well meaning but rural mindset! But it’s worth it when you wake up to the beauty and peace. Follow us at hawkeyehunting.com and on Facebook and Instagram! Marvin Irby, CFO of the National Restaurant Association in Washington, D.C., has been named to Bisnow’s 2015 “Trending 40 Association and Non-Profit CFOs,” which recognizes senior finance executives who have distinguished themselves in the past year by driving growth. The NRA’s revenue has grown 47 percent since Irby joined the association in March 2010. After 31 incredible years at Kraft Foods (amidst corporate mergers, acquisitions and name changes), Wendy Kritt is pleased to let everyone know that she retired from Kraft in September 2015! She feels so fortunate for her long career at Kraft, both for the experiences she had and the friendships she made. 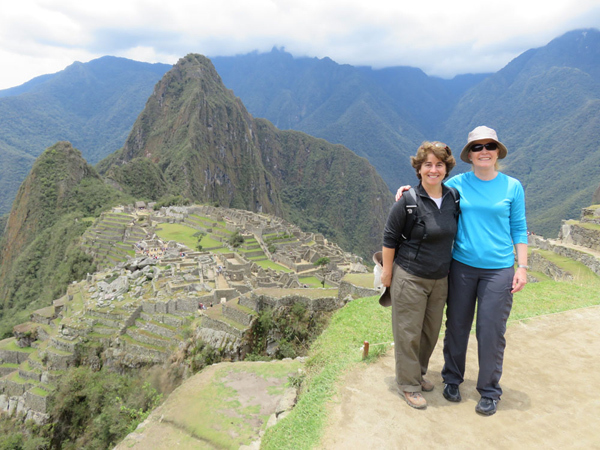 One of the first things she did post-retirement was vacation in Peru and Machu Picchu with her Kellogg roommate and good friend, Birgitta Hanan. She is now doing consulting on her own and with ESC Chicago. Kathy Lund has joined Golden Bison Co., a Denver-based, “integrated family of bison businesses,” as its new vice president of retail sales for North America. Lund will support customer acquisition and driving customer satisfaction during a time of accelerated growth across Golden Bison’s three brands: High Plains Bison, Carmen Creek and Prime Life. 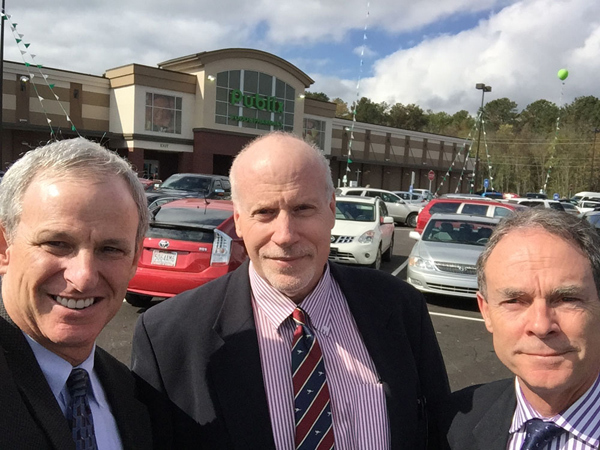 Kellogg alumni and partners, Cary Uretz and David Rosenthal ’80, along with their Australian partner, Nick Gray, attended the grand opening of a new Publix anchored shopping center they recently developed in Rainbow City, Alabama. This is the first shopping center they have developed under their joint venture between MAB American Retail Partners, LLC (based in Charlotte, Los Angeles and Melbourne, Australia) and Inland Southeast Grocery Development, LLC (based in Chicago).